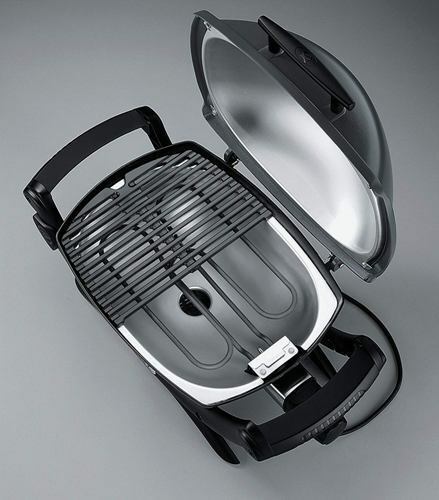 We all know that Weber makes some of the best grills so if you are considering or you have considered one of their models, chances are high that you have come across Weber Q1400 and Weber Q2400. These two are simply the most popular models at the moment. 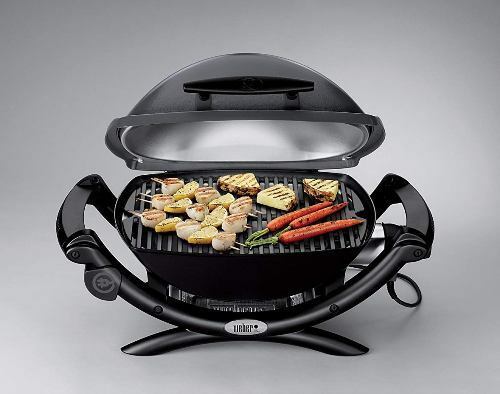 Here we will provide you the Weber electric grill review and compare these two to the detail. When it comes to the design, you will see that the two models do look similar. However, they are not the same and there are a lot of differences here. Design of both models is elegant, slim and modern. After all, both of these units are based on the latest technology and they are some of the latest additions to the market. 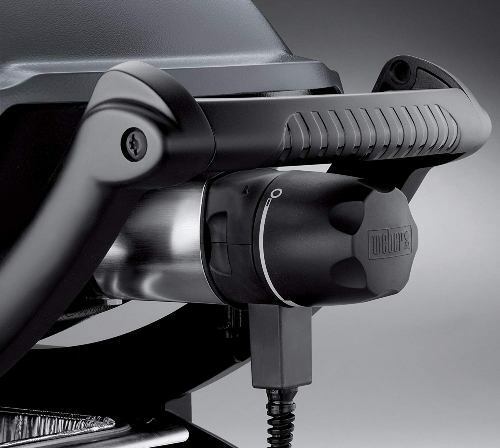 Although similar, the Weber Q1400 comes with a bit better design. It is more sophisticated and it looks more appealing to the average user. We will also add that the attention to details is slightly better. The stand looks more massive and the lid is paired with more details. 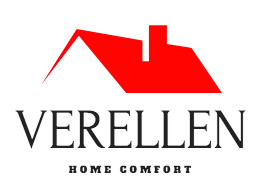 In a nutshell, we believe that the design is better. The Weber Q2400 does come with all you are going to like, but there are some differences. First of all, the lid is made of aluminum which is actually the main material here. The stand is simple and looks a bit obsolete. It looks thinner as well. Keep in mind that the design is still similar to the first model here and all of the differences are minimalistic. The bottom line here is that the Q1400 looks slightly better. After all, it is a newer model of these two and it comes with a matching design. It is actually one of the best and the most desirable models on the market if we take into account the look of it. The Weber Q1400 vs. Q2400 in the design department is now obvious. There is no difference in the power. Both of these models use 1560 Watt heating element which is standard for Weber grills of this class. It is one of the best we have ever tested and it is suitable for all possible operations. The electrics inside the grills is the same as well, so we can add that both of them will perform well with different operations. The heating element makers these two grills perfectly suitable for most of you. It is a sweet spot, according to all the professionals and it makes a perfect compromise between the price and power. You probably won’t need more power regardless of the fact what you grill or what your intentions are. We should add that the heating element in these two grills is slightly better than competitor models have to offer. It has a shorter recovery time and it is more than just ideal for anything you will use it. It is known to be one of the most durable units on the market, which is another advantage. Both of these units are suitable for average, beginners and intermediate users who will need small and powerful grills to have a great meal. Don’t forget that both of them are considered to be a great value for money and they offer excellent quality. Here we have the main difference between them all. These two grills are not the same when it comes to the size and the cooking areas. Let’s start with the Q1400. The dimensions with lid closed are 14.5 x 27 x 16.5 inches and the weight is 28.8 pounds. As such, the cooking area is 189 square inches which isn’t much but it will be sufficient for some of you. In our Weber Q1400 electric grill review, we must add that this is considered as one of smaller electric grills on the market. Considering the dimensions, the cooking area is decently big, so you will be able to use it for multiple applications. What’s important is the ability to transport and store this grill. It occupies very little space and it is lightweight, so you won’t have any issues moving it around. The Q2400 is a different model. First of all, the dimensions with closed lid are 14.5 x 31.5 x 19.5 inches and the weight is 42 pounds. But, the cooking area is 280 square inches which is bigger than the Q1400 has to offer. This made it a more preferable choice for users who need bigger cooking areas. Yes, it may be bigger and heavier, but it also comes with a bigger cooking area. Now you can use it for family gatherings and when you decide to have fun with your friends. In a nutshell, this size is the first and the main difference between these two grills. It may be the game changer for some of you and it is an important factor to take into account. Grates on both models are made of cast iron. They are also coated with porcelain in both cases and they are some of the best of the best we have seen. The grates are the biggest advantages of the two models we have here and they can make a massive difference especially if you are planning to use them all the time. 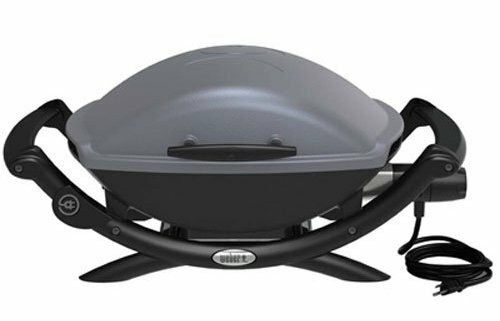 Weber Q 2400 electric grill reviews will tell you that this model has slightly bigger grates, which is perfectly normal if we know that it also comes with a bigger cooking area. Anyway, the grates will last as long as you maintain them properly and they will offer you the best results. It should be added that both models come made of cast aluminum. This material and the technique it was shaped are used for the lids and the body. We liked the advantage in question and we believe that it is something to consider if you are looking for a new grill. The frames on both units do look similar and they come with the same advantage. Both of them are glass nylon reinforced which is a massive difference compared to some other models from this price range. The frames are strong, they are durable and they offer a compromise between the weight and strength. It is important to look for a modern grill with a reinforced frame. Not only it makes it stronger, obviously, but it also eliminates the instability which is a massive issue. Now you can enjoy the great frames made with the help of the latest technologies and with the best advantage. Weber grills are commonly known as some of the best models if we take a look at their frames and the grates. They are made to be perfect and stay like that for a long period of time. Both of these grills are pre-assembled. You will get a nice package with the units, user manuals and etc. As such, there is no need to look for assembling help or anything like that. Of course, you will have to consider the fact both of these units are relatively simple and they are not some of the biggest grills out there. On the other hand, assembly is a massive drawback for some users. 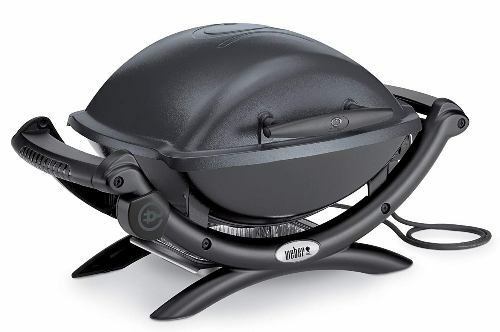 Weber Q1400 electric grill replacement parts are easily available and they are affordable. The situation is similar to the Q2400. The spare parts are affordable, but due to some reason, they are a bit more complicated to find. We believe that this issue will be solved in the near future. Adjusting the heat while grilling is the most important thing to do. All professionals know that and we agree with the claim. However, when we take a look at these two models, we can see that both of them come with the infinite heat settings. The feature in question is standard for almost all grills of this price and this class and it is one that can help you get even better results. All other facts we will have to mention are minor. For example, both units come with the 6 foot power cord. It is a decent length and it is a nice addition for most of you. The power cords are obviously heavy-duty elements of these two grills and they are suitable for different usages. Manuals of both models are well-written and offer you all the explanations you are going to need. But, the one with Q2400 is slightly better and covers more details. On the other hand, the Q1400 is a more popular model so you can find more details online. 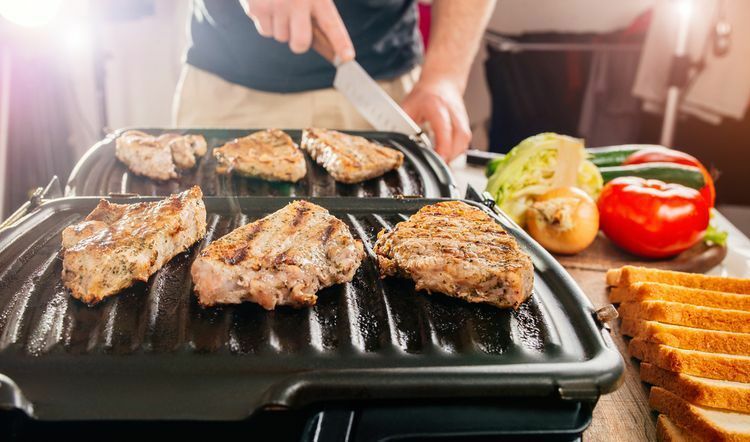 Meanwhile, if you are interested to discover other alternatives from electric grills, don't forget to check out this article. 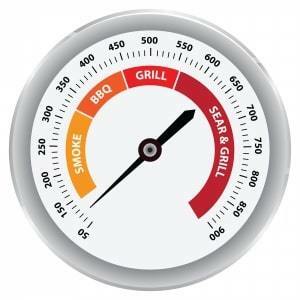 At the end of our Weber electric grill review, we must determine which model is better and why. However, this is more complicated than it sounds. Both grills are similar and they are generally affordable, which makes the difference minimalistic. All we can say is that the Weber Q1400 is more preferable for those who want a smaller, lighter and more compact model. Weber Q2400 is more desirable for those who need a bigger cooking area and they are still looking a great value for money. Looking for other alternatives such as gas or charcoal grills, check out here.